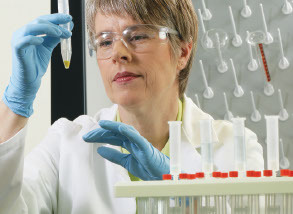 Thermo Fisher Scientific has a long established reputation as a leading supplier to the diagnostic imaging and healthcare communities. Our portfolio includes products by Signostics Limited, Parker Laboratories and Gallini Medical Devices, as well as our own brand products such as positioning foams and lead protective products. Parker Laboratories is a recognised world leader in the manufacture of accessories and supplies for the ultrasound and electro-medical markets. Thermo Fisher is proud to offer you a range of Parker products to meet all your ultrasound consumable needs. All Parker products are designed to be latex free and hypoallergenic. Durable construction, suitable for wall mounting or counter top use and each unit comes with a two-year warranty.